The American Chiropractor magazine most recent magazine focused on Spinal Decompression. There where some really good articles about things that I have said from day one. Equipment does matter and I only practice with top of the line Spinal Decompression equipment in my New York practice. I utilize The DRX 9000 and the Cox flexion distraction decompression. I like the article by Dr. Dyer and have recently expanded my practice to a 4,000 sq. ft. facility and I am adding a second spinal decompression table that table will be the Vax-D Genesis G2. I truly belief that the DRX 9000 and the Vax-D are the best tables when it comes to results. I also have developed a comprehensive rehab program utilizing the Medx Core strengthening equipment. 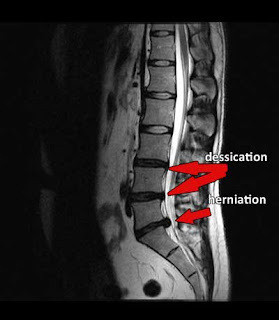 If you suffer with a disc herniation and do not want to undergo surgery Spinal decompression is a fantastic treatment.